Statement of Air Accident On June 5,1944 I was leader of the fourth element enroute to the target, with Lt. Howard D. Myers (O-672174) on my left wing. We took off from Stirly at 1113, joined the formation, and preceded on our climb for altitude. At approximately 1125 I noticed the formation was headed for an opening between two large cumulonimbus clouds. I was about one hundred (100) feet below and one hundred fifty (150) feet behind the third element and climbing at an indicated airspeed of one hundred fifty (150) miles per hour. The squadron leader tried to radio to the flight to turn around as he saw we would not be able to clear the top of the clouds. However, his radio was not operating correctly and no one in the flight heard his warning. When I realized I could not lead my flight through the clouds, I looked to my right and left and saw that Lt. Bever was fairly close to my right wing, and that Lt. Myers was at least one hundred fifty (150) yards to the rear. I motioned for a left hand turn and made a thirty (30) degree bank to the left, which would have given Lt. Myers ample room to follow me. My turn placed me in the outer edge of the cloud and I was on instruments for approximately one and a half minutes before breaking out on the same side we had entered. While in my turn and about ninety (90) degrees to Lt. Myer’s flight course, I noticed that he was below me and continuing straight ahead. That was the last time I saw Lt. Myers. This was about 1135L. After breaking out I climbed about five hundred (500) feet and again attempted to go through the top of the clouds. Immediately upon entering the cloud I was caught in an up-draft, and although I had the stick full forward, I was climbing six thousand (6,000) feet a minute at one hundred forty (140) miles an hour, with the ship vibrating all over. I called the bombardier to salvo all the bombs, but he was in the tunnel unable to move due to the violent maneuvers of the airplane. I was next caught in a donwn-draft which sent me down in a tight spiral, six thousand (6,000) feet a minute at two hundred (200) to two hundred fifty (250) miles an hour. My altitude when entering the cloud was around six thousand (6,000) feet, and varied from eight thousand (8,000) to four thousand (4,000) before we were thrown out of the cloud, the airplane being on its side. It is my belief the Lt. Myers was caught in a violent draft and sent into a tight spiral or spin from which he never recovered. The base of the clouds was four to five hundred feet. 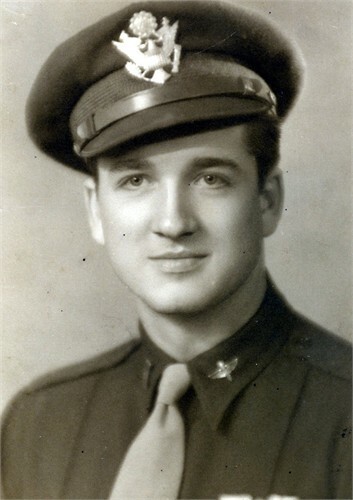 Claude B. Simmons 1 Lt., Air Corps. This entry was posted in Uncategorized and tagged 42-64705, Alvin C. Hanson, Bart F. Grantham, Bougainville Island, Buka Island, Duke of York Island, flying boat, Howard L. Myers, Jack L. Sullivan, Jesse O. Braswell, John Campo, Motupena Point, Rabaul, Shortlands Island, St. George Channel, Stirling Island, Torokina, weather, weather wall. Bookmark the permalink. I will be reading the March posts later. I was just curious to read today’s post. No wonder Wayne never talked that much about the war when he came back from it. Wayne talked about the war, but I don’t think it was ever a topic of general conversation. I remember a disagreement he had once with his brother, a combat infantryman in Germany, about who had it worse. That must have been quite an argument. Not much. Just comments between brothers sitting on the porch after dinner drinking beer, smoking cigarettes and bickering about who had it worst. I feel certain that this was not unusual within families. Thanks for sharing this little piece of history with me. I will continue to soldier on with your blog about Wayne. As an “amateur” genealogist the name Myers is of interest. This name is in my family tree. Do you know where he was from? I believe Howard L Myers was from Losantville, Randolph County, Indiana. Randolph County is located in mid-Indiana adjacent to Ohio. He is not related then. Mine were living in Connecticut in the 1800s. In the early 1800s, many from Connecticut migrated westward to Ohio and Indiana. That was in the latter part of the 1800s. These people were in fact descendants of Chrétien Lemeyere or Brackmeyer who was a Hessian mercenary. I wrote about him on my blog Our ancestors when I found the link with him and the Myers connected to my family. I just read your about page…. I apologize, I now know that Wayne was your Uncle. That is not a problem. I hope you will enjoy Wayne’s Journal. I encourage you to always read the “Notes & Commentary” sections of the individual posts. The “Notes & Commentary” sections contain unique information and, sometimes, amazing videos and music. Lt Howard Myers was my husband’s uncle. He will be so appreciative of knowing more information about what happened to Uncle Howard. Thank you so much for posting this. The gunner, Jack L. Sullivan, was my first love and the news that he was on board that particular plane literally tore me to pieces and he has never been forgotten. I still carry his picture in my wallet and a framed photo in my home some 70 years later. I was so glad to learn there had been at least a search made hoping to find this crew, even though none were found. My last communication with Jack ended with these words ” No matter what you may hear…I will be home for Christmas”. Oh how I hoped that would be true but sadly it didn’t happen. I have married twice in my life and have been Widowed both times Each knew about Jack and never minded that I still had pictures and memories of him. Both of them were also WW II veterans. If any of the veterans who flew on missions with Jack or simply knew him are still living, I would certainly like to hear from you. Or by any chance if Jacks cousin Frances, my high school chum, sees this I would also love to hear from her. Bart Grantham was my husbands uncle. My son is named Bart in memory of him. We were told that there was a storm and Bart’s plane was never found. It is wonderful to know what really happened. Bart is still listed as MIA and his name is listed on a wall at the USS ALABAMA battleship in Mobile Bay. Bart Grantham was my mother’s brother and I was raised knowing the family story of his demise in World War II. As Kelly noted, the family was under the impression that he was on a non combat mission, flying as co pilot at the request of his friend the pilot and they flew into a storm. We never thought to look further into this incident and am grateful that a chance encounter with a military historian on Facebook resulted in our being sent this information. thank you Mark O’Neil. It is indeed wonderful to know the full story. When my mother passed a few years ago, I came across a certificate declaring him dead. It was issued in 1945 and signed by Harry Truman, President of the United States. I am pleased to know of another Bart in our family and hope to meet him one of these days. My Dad’s brother was the pilot, Howard Myers. His picture has always been proudly displayed in our house. I am also thankful for this information. brother. We keep his memory very much alive with pictures and scrapbooks. The comments made on this post are your reward for sharing Wayne’s journal.